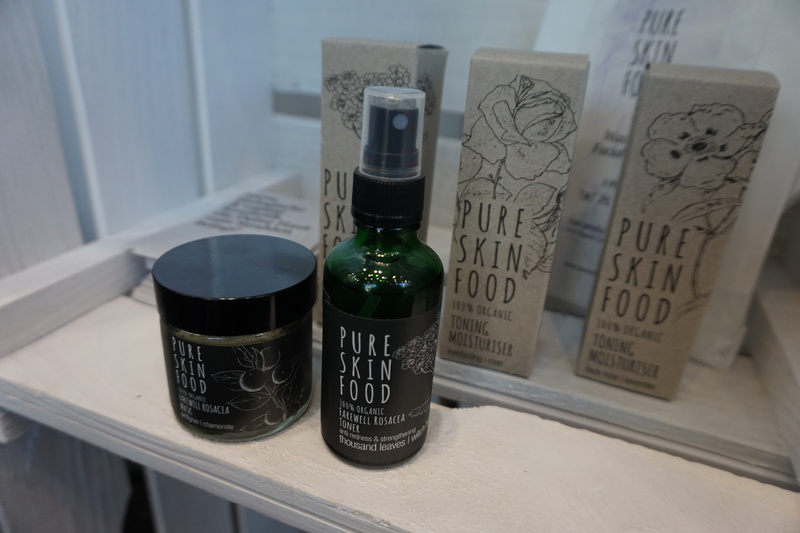 I first met Pure Skin Food at Vivaness 2017. 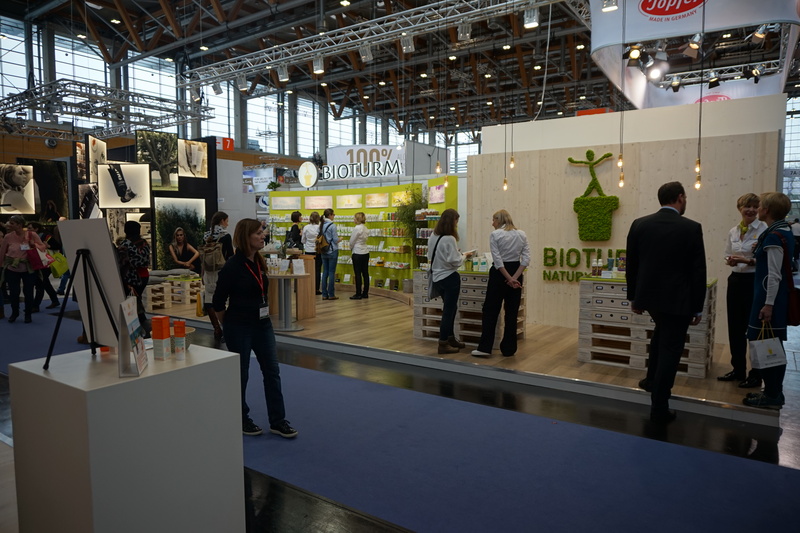 The Graz-based beauty brand was founded in 2014 and they manufacture very high-quality oil blends, hydrosols, powdered face masks and creams – minimalistic INCI lists which consist primarily of plant ingredients from the so-called super foods category (hence the brand name). Pure Skin Food’s product portfolio offers various skin and body care products, including a Cleansing & Detox Oil, the Liquid Gold Well-Ageing Serum which is based on prickly pear oil, four Toning Moisturisers which each focus on a particular ingredient, various face oils for different skin requirements, an eye care oil, powder face masks for different skin types and, amongst their newest launches, a 2-sku range for rosacea and couperose-afflicted skin. The Farewell Rosacea line (picture above) offers a soothing toner with yarrow and witch hazel extracts and a powder mask which contains butcher’s broom, yarrow flowers and nettle extract. 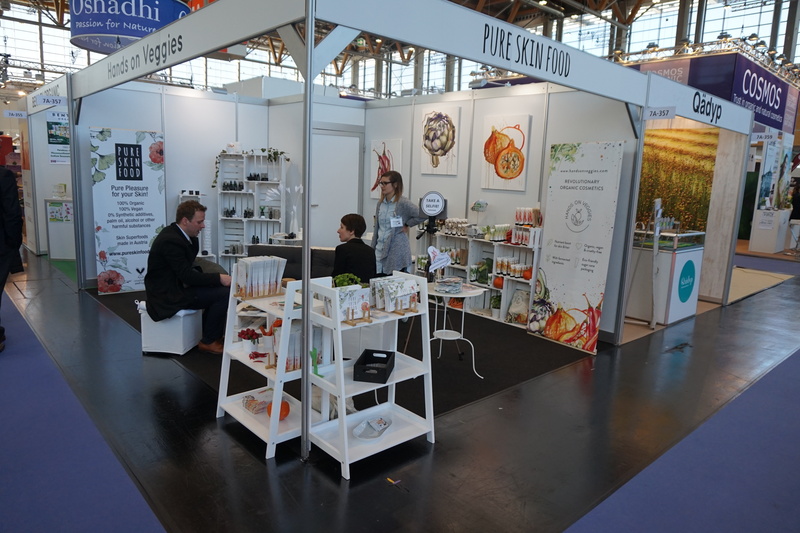 The company behind Pure Skin Food has just launched another hair and body care brand which is very unusual indeed: Hands on Veggies is based on vegetables – as vegetable extracts, vegetable plant oils and vegetable ferments (which also act as a natural preservative). 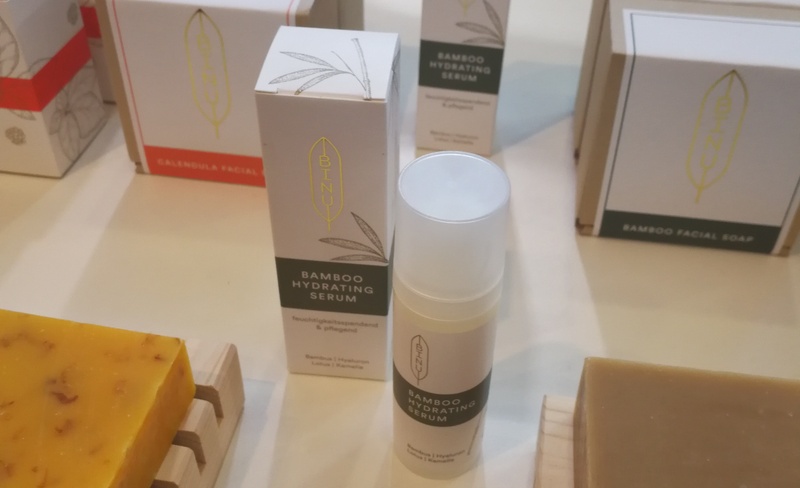 The first products were launched in January 2018 and the current line-up includes 12 products: four body mousses, four shampoos and four shower gels. On the picture you can see the Artichoke Body Mousse and Artichoke Shower Gel but Hands on Veggies’ product range also offers a volumising shampoo with chili and litsea, a shower gel with carrot and coconut, a body mousse with avocado oil and wild pansy extract, an anti-dandruff shampoo with fennel and rosemary and a body mousse with jojoba oil and kale extract. Plus a whole range of other vegetable-ey products! The beautiful packaging imagery was created by Graz-based design agency decasa and the tubes are made from renewable raw ingredients (in this case: from sugar cane-derived green polyethylene). A very cool brand. I look forward to seeing whatever Hands on Veggies will come up with next. DieNikolai is a Demeter-certified organic beauty brand which was launched in 2016. 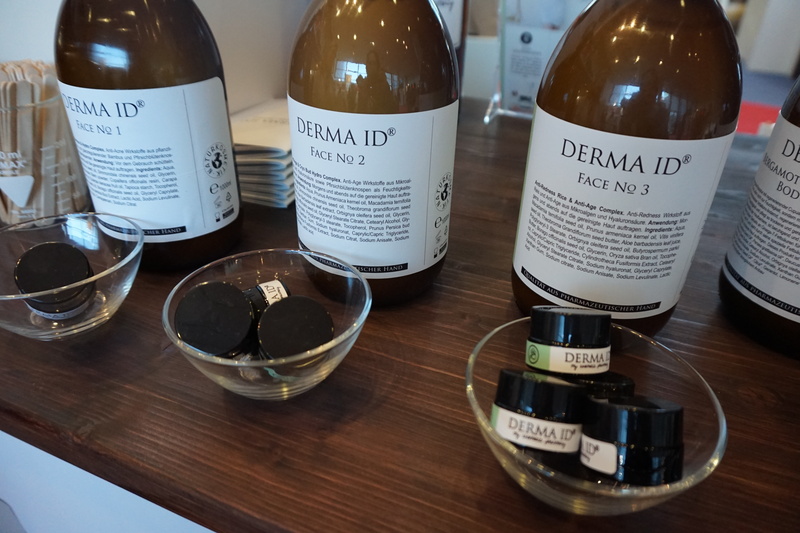 In case you’re not familiar with Demeter: it is one of the strictest organic food and cosmetics seals in Europe and few brands manage to achieve this certification. DieNikolai comes from the Wachau region in Lower Austria, from Demeter-certified vineyard Nikolaihof. DieNikolai currently offers 16 products for face and body which are based on ingredients harvested from the Nikolaihof – grape extract, grapeseed oil and the so-called “grape tears” or “grape water” (lachryma vitis) which is the sap that appears on the cut stems of the vine plant in spring-time. This sap is particularly high in anti-oxidant resveratrol and has antibacterial and disinfecting properties. 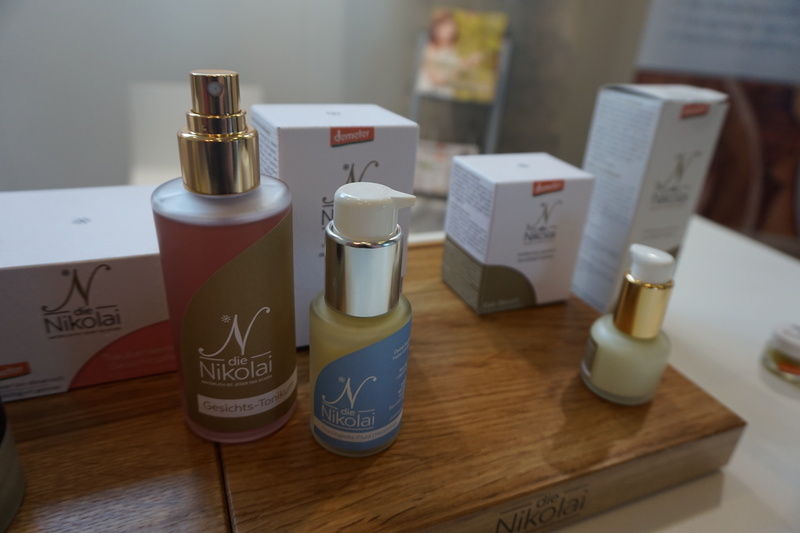 DieNikolai’s face care range includes a cleansing milk and a cleansing gel, the grapeseed intensive serum, an eye serum, two nourishing face balms which are based on cream (yes, actual cream!) and saffron; a day cream and night cream as well as a multipurpose moisturiser; two hand creams, a lip balm, a facial toner and, as the newest launch, the Moisturizing Fluid. When I was in Vienna last year I visited an organic perfumery and tested DieNikolai. Unfortunately the first cream that I tried out was one of the cream-based face balms and the icky fragrance really put me off the brand’s products! Until this Vivaness when I saw DieNikolai in the Breeze section and finally tried out the non-cream based beauty products; including the Moisturising Fluid which has a barely-there scent. I also loved the eye serum which has a great texture. DieNikolai products are currently available in Austria, Czech Republic and Slovakia as well as in Berlin, and the company is hoping to extend its distribution in Germany. And DermaID is a pharmaceutical luxury skin care brand which was launched in 2011. Founder Dr. Theresa Friedrich offers bespoke organic beauty products which are tailored to the individual requirements of her clients. However, some of her most popular face care blends and body care products are also available as ready-blended products that can be purchased online or in selected retailers. At Vivaness 2018, Theresa presented some of her retail products; like the three face lotions for different skin types you can see on the pic above – the products are also available in normal pack sizes, by the way! 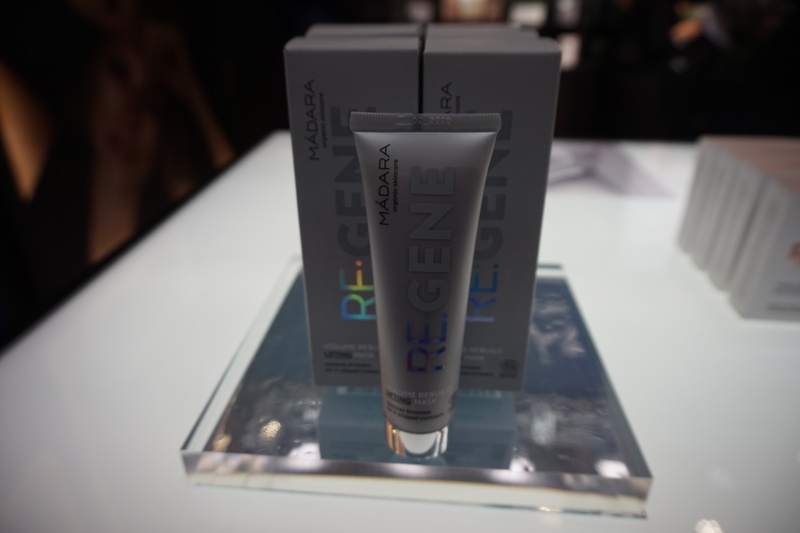 There are 15 sku of skin and body care – prices range from 29 Euro to 122 Euro – and the brand’s latest product launch is a baking soda-based deodorant cream. 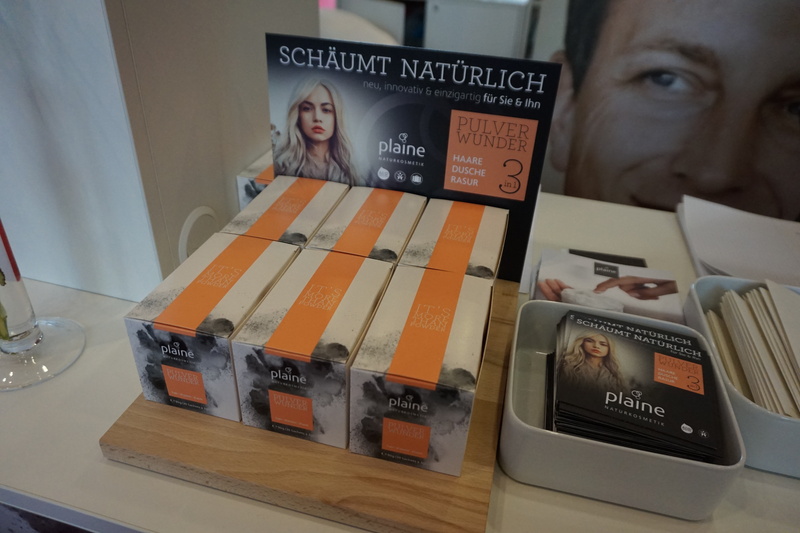 The bespoke products are only available in the company’s retail store in Perchtoldsdorf in Lower Austria but partial selections of the retail range are also sold in selected independent beauty stores and salons. An interesting company, and not just because personalized beauty is such a big trend at the moment. The following German brands are all fairly new on the market. 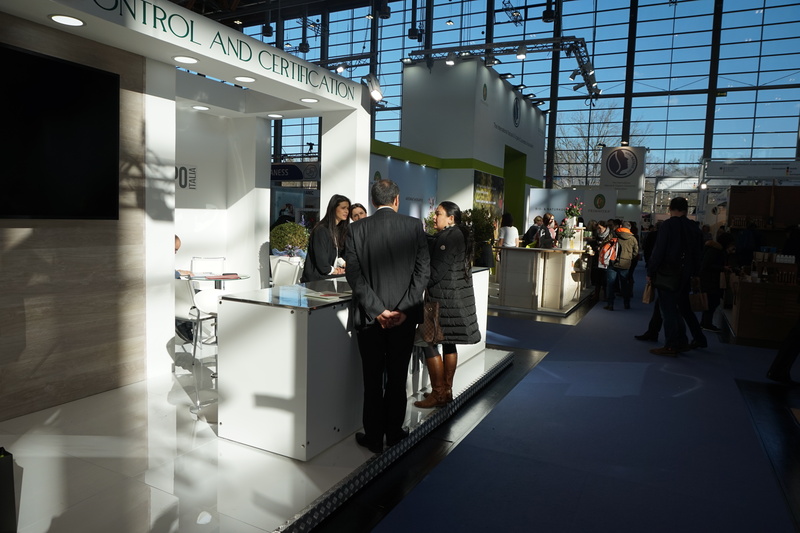 With the exception of Anakena and Aroma Garden – which had their exhibition booths at the government-sponsored Germany Innovation pavilion – all of these companies were exhibiting in the Breeze area. 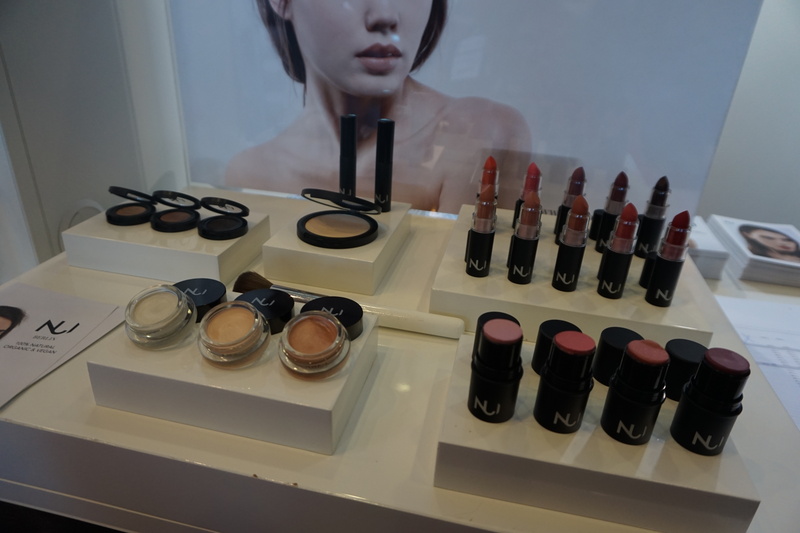 Nui Cosmetics is a vegan colour cosmetics range from the founders of Berlin-based organic online perfumery Savue Beauty. 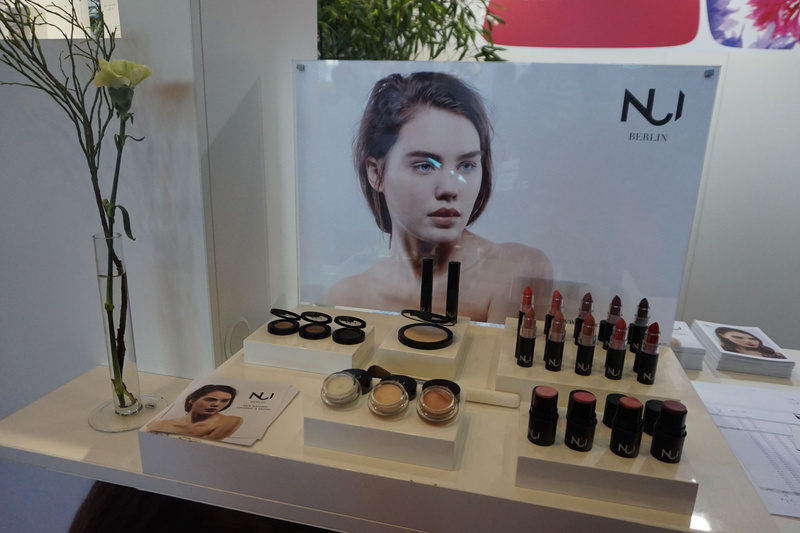 The Nui range was launched in early 2017 and the product line-up includes ten creamy lipsticks, four cream blusher/multipurpose twist-up sticks, three highlighter/illuminating creams which are packaged in individual jars, three eyebrow powder which have a waxy texture, one pressed powder, seven liquid foundations and two mascaras. I tried out some of the products and the textures felt great. I also like the stylish black packaging. And Binu Beauty is a Korean-German start-up which was launched in 2016. Binu’s first product was a facial cleansing soap which become very popular rather quickly – in fact, the company has an impressive media portfolio; their brand’s been featured in most German women’s and lifestyle magazines. All of Binu Beauty’s products are manufactured in Korea with local ingredients such as bamboo charcoal, ginseng and hinoki water. The brand’s production facility is located in Damyang in the Southern part of South Korea – the family-owned factory actually belongs to the parents of one of Binu Beauty’s founders. Great back story! The Serum is based on bamboo extract, jojoba oil, aloe vera juice and hyaluronic acid; a barely-there fragrance and a fabulous texture. I was told that Binu Beauty will launch more face care products later this year. Can’t wait to see them! And now (to quote the immortal Pythons) for something completely different! Plaine from the Allgäu area of Southern Germany was founded in 2014. Their first product was a shaving powder for men. And in April 2017 Plaine introduced a true product innovation: a powder cleanser for hair and body. Pulverwunder (Powder Wonder) is packaged in individual sachets which are completely made from renewable raw ingredients (so they can be composted). The powder blend is based on sodium bicarbonate, a mild plant-based tenside, horse chestnut extract and moisturizing hydrolysed wheat proteins. One sachet is enough to cleanse the whole body – you simply pour the powder onto wet hair or wet washcloth/sponge, add water and massage it in; the powder turns into a surprisingly large amount of creamy foam which you then use to wash your hair or body, or shave your legs. The foam has a very light unisex fragrance – citrus and woodsy notes, but very subtle – and what can I say; it’s a truly unique product. 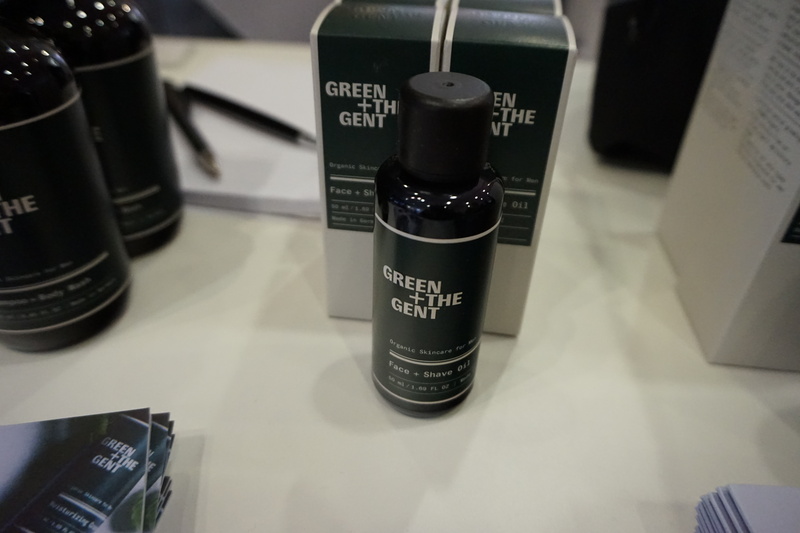 Green + The Gent, another first-time Breeze exhibitor, is a Munich-based men’s care brand which was launched in 2017. 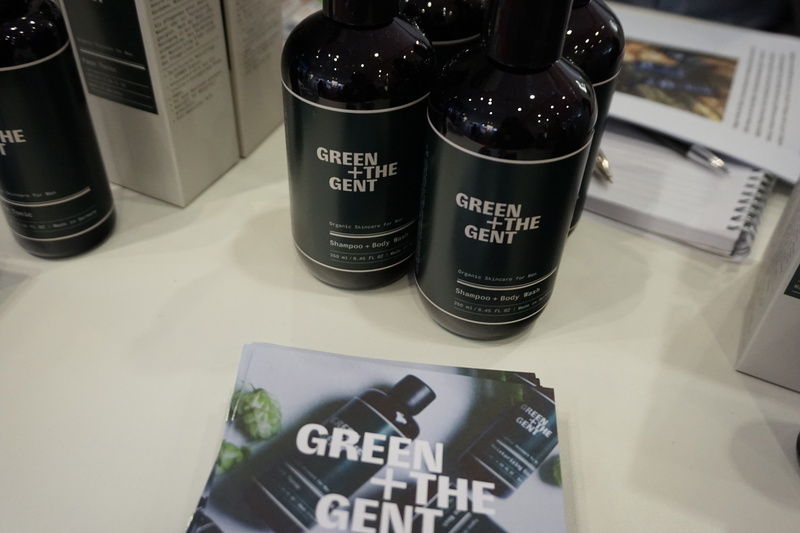 Their product range offers five multipurpose sku: a foaming face wash with ivy and hops extracts, a face & shaving oil, a shampoo/body wash with black oat extract and elderflower extract, a face toner which also works as an after-shave, and a moisturizing cream gel with elderflower and paracress extracts. The packaging is stylish and simple and, with the exception of the shave oil which is based on apricot kernel oil – all products contain aloe vera juice as the first ingredient. The products are available online, through the brand’s own webshop but also in selected online retailers, and in some perfumeries. Price range: from 24 to 42 Euro. Anakena is an interesting little brand; the company comes from Easter Island in Polynesia. Easter Island is also called Rapa Nui and although the island is located in the Southernmost part of the Pacific Ocean it belongs to the South American country of Chile. Anakena Cosmetics was founded in 2017 by Petra Klimscha, a German expat who lives on Rapa Nui. Petra named her company after Anakena beach which is located on the Northern part of Easter Island. The brand’s portfolio currently offers four products: a moisturizing face lotion, a shower gel, a body lotion and a shimmering monoï oil that can be used for body and hair. All products contain ingredients that are found on Easter Island, such as mango, papaya and guava fruit but also coconut milk, algae extracts and of course, monoï; a beautifully scented oil which is made from the petals of the tiaré (gardenia taitensis) flower. 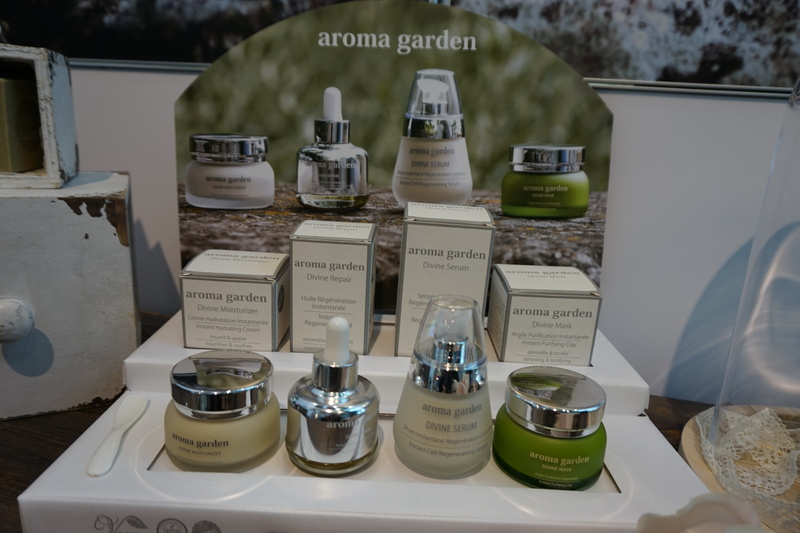 Aroma Garden was another newcomer brand that exhibited as part of the Innovation pavilion sponsored by the German Federal Ministry for Economic Affairs and Energy (BMWi). The salon brand was founded in 2016 by Florent Raimond and specialises in aromatherapeutical skin care products. There are currently two retail product ranges: the 4-sku Divine Repair line and the 4-sku Gold series. Divine Repair offers a cleansing cream mask which is based on clay, jojoba and sunflower seed oils and rose water; a healing oil blend with argan oil, broccoli oil and jojoba oil; a hydrating cream with jojoba oil, rosehip oil, witch hazel water and argan oil and an intensive repair serum which contains witch hazel water and broccoli oil. 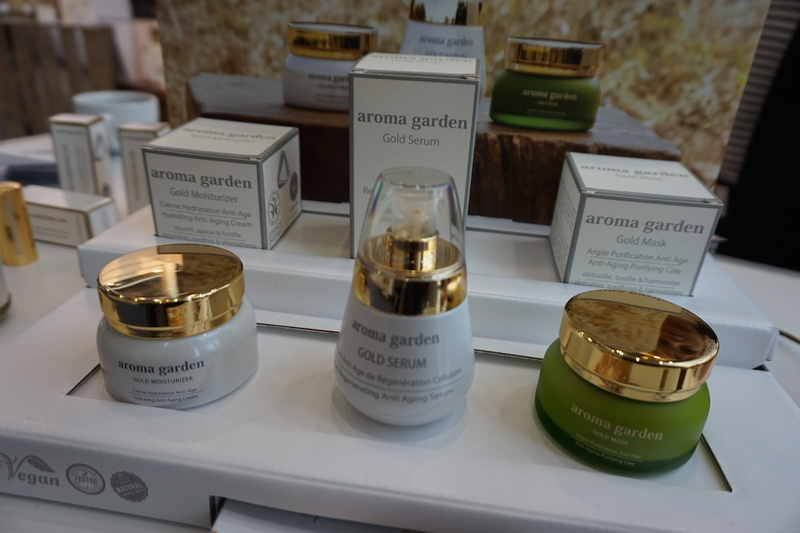 The Gold range includes a cell-regenerating serum with witch hazel water, apricot kernel oil and argan oil; a detoxing cream mask with medicinal clay, rosewater and shea butter and a hydrating cream with carrot root extract, witch hazel and hydrolysed wheat protein; plus an eye cream which will be launched soon. And, as the name indicates, all products in the Gold range include gold particles. Every Aroma Garden product also contains a carefully formulated blend of therapeutical essential oils which were selected to boost the performance of each skin care product. I tried out most of the creams on my hand and really liked the textures. And the fragrances! Since Aroma Garden is a salon brand the company’s portfolio also includes a number of professional products. The retail products are available through beauty salons and institutes (prices range from 25 Euro to 60 Euro), and the brand is already sold in around 20 countries. 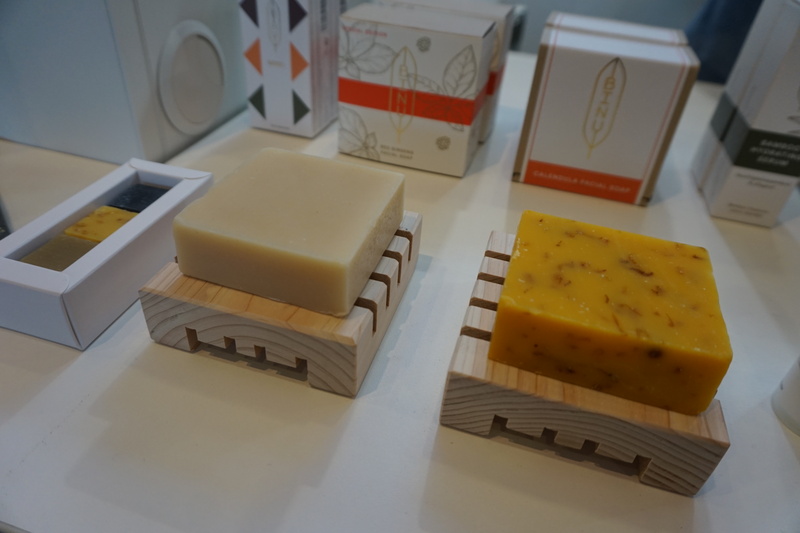 I first met Sofia-based beauty brand Wooden Spoon at Vivaness 2015 and very much liked its face and body care products. Wooden Spoon was launched in 2014 and its cosmetics are formulated with unprocessed, raw organic plant oils and butters. Since then I’ve seen Wooden Spoon at every Vivaness trade show (I think!) and every year there are cool new products to discover. The current product portfolio comprises skin care, hair care, baby care, a 7-sku range of shower gels which was introduced in December 2017, sun protection creams and lip care. 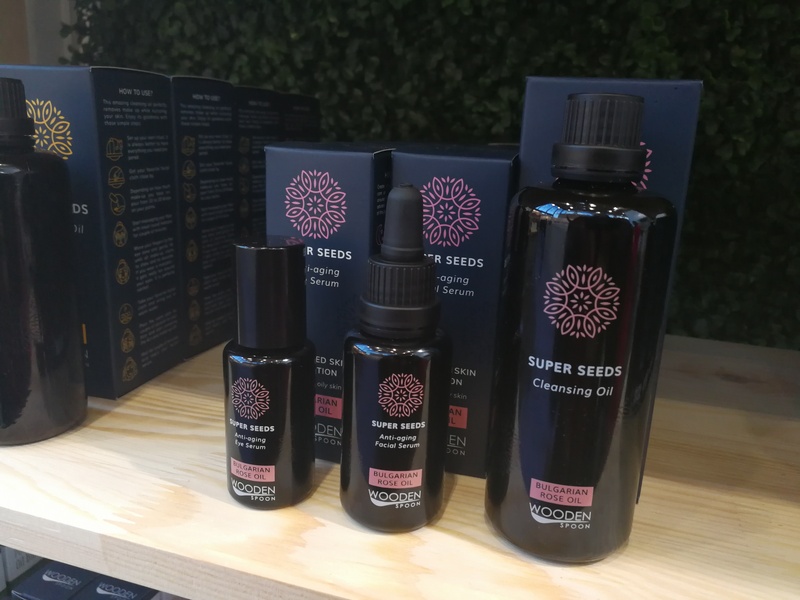 At Vivaness 2018, founder Silvyia Pavlova presented her new Super Seeds skin care range which was launched in early 2018. There are nine products altogether which are divided into three ranges: Enchanting Neroli is formulated for normal to dry skin, Bulgarian Rose is for normal to oily skin and Fragrance-Free is for sensitive skin. Every sub-range offers a rich cleansing oil, a moisturizing face oil blend and an eye care oil which is packaged in a roller-ball pen. As the name indicates, each product range is based on a specific blend of super foods seed oils. And – classic Wooden Spoon! – the Super Seeds oil blends contain little or no water. And Wooden Spoon is doing well; the products are retailed online and offline in 32 countries worldwide; they even have distributors for Korea, Japan, Taiwan and Hong Kong. 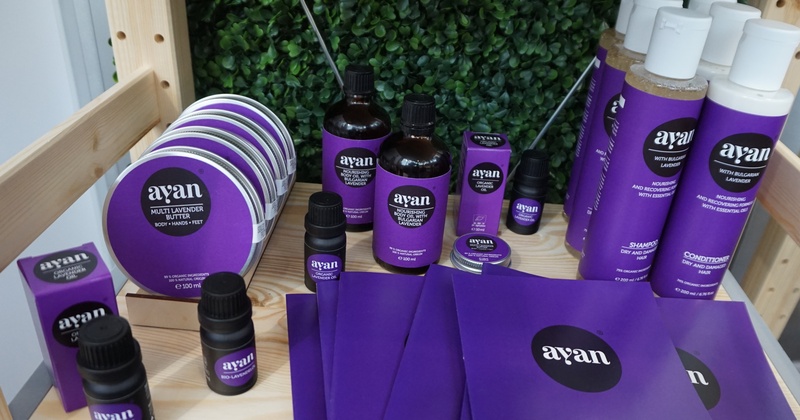 Right next to Wooden Spoon was the exhibition booth of Bulgarian lavender brand Ayan. 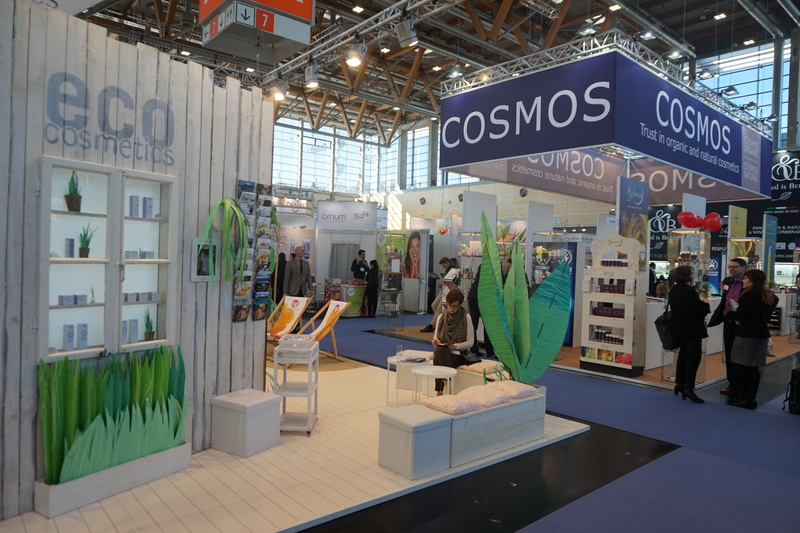 In fact, it was a sort of combined exhibition booth; Ayan’s products are manufactured in Wooden Spoon’s factory; as are the products of Cocosolis, yet another cool Bulgarian niche brand (more on Cocosolis further down). Ayan’s founder Yana owns a lavender field near Sofia; she grows and harvests the lavender to produce the essential oil. Ayan supplies several Bulgarian and European beauty brands with lavender oil, including German organic brand Weleda. 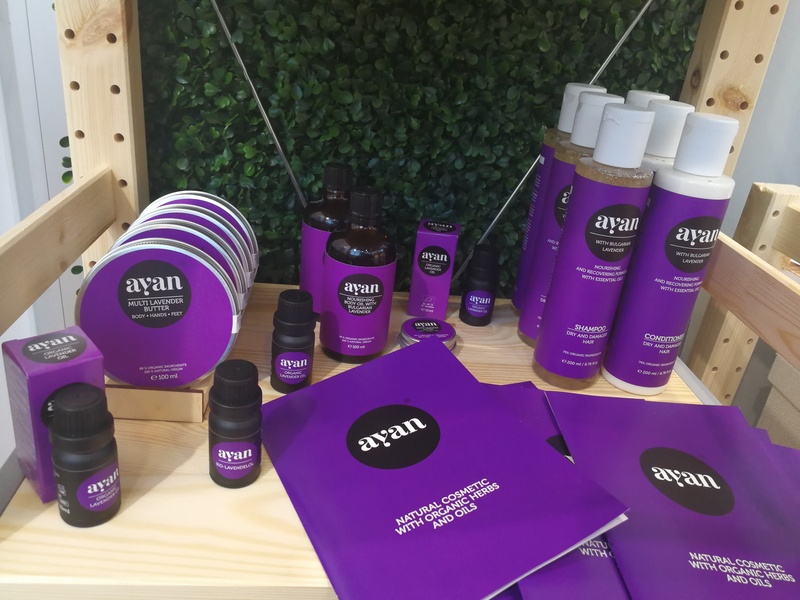 Anyway, in December 2017 Yana decided to launch her own lavender beauty range and that was how Ayan came about! The product range offers a multipurpose body butter with shea butter, beeswax and coconut oil; a nourishing body oil which is based on macadamia and argan oil, a shampoo with argan, olive and baobab oils, a conditioner with baobab, argan and coconut oil and, of course, the essential oil. All body and hair care products contain organic lavender harvested from Yana’s farm. 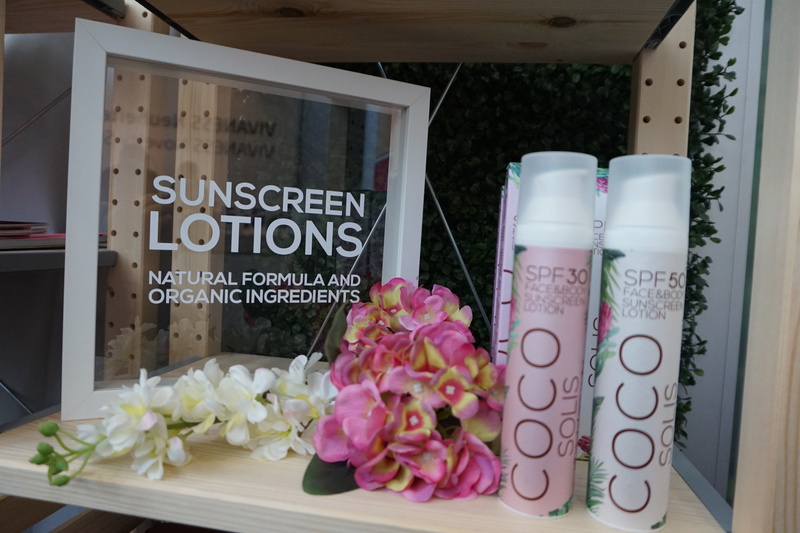 The third brand exhibiting with Wooden Spoon and Ayan was Cocosolis, a body and sun care beauty brand whose products are also manufactured in Wooden Spoon’s factory. 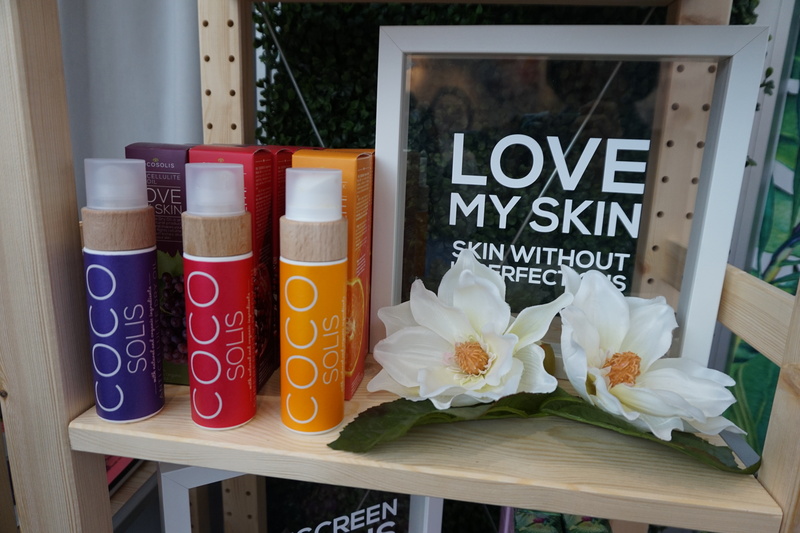 Cocosolis is another fairly new beauty brand; the company was launched in 2016. Cocosolis offers body and sun care oils as well as two sun protection lotions. The brand’s line-up includes three dry body oils (Superfruity Dry Oil, Anticellulite Dry Oil and Stretch Mark Dry Oil), two Sun Tan & Body Oils without SPF – scented with notes of coconut and cocoa respectively – as well as a soothing and cooling After-Sun Oil formulated with calendula, mint, argan and cucumber oil, and a repairing Hair Oil with camellia oil, coconut oil and hemp oil. Finally there are two sun protection lotions which contain SPF30 each – one of the lotions is tinted a very light purple so there is no whitening on the skin, the other is untinted. And next month there will be four new body scrubs based on coffee grounds that have been blended with essential oils. Cocosolis is currently available in Bulgaria, Greece and Romania and the company has just started selling its products through Amazon in UK, Spain, Italy and Germany. Finally, Alteya Organics. Not a niche or newcomer brand by any means but they have such cool products that I simply have to include them in every single trade show review that I write. 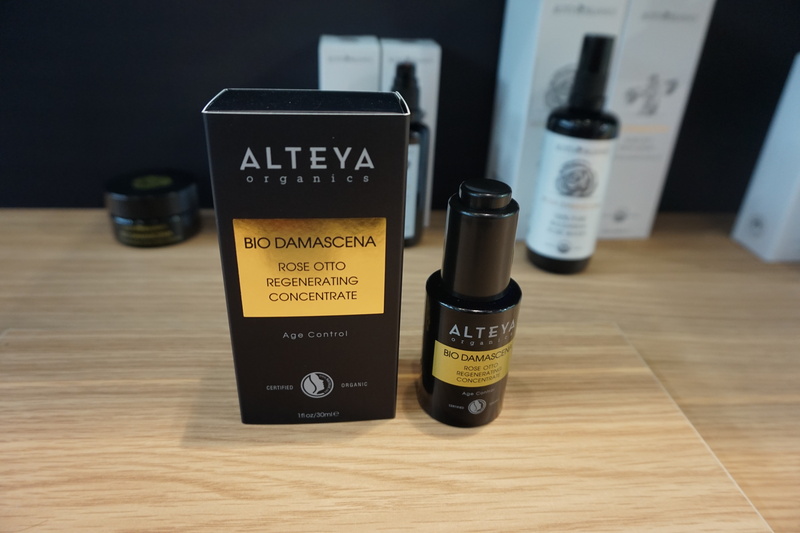 I had seen most of Alteya Organics’ new product launches at Cosmoprof Asia last November (you can read about the brand’s new launches in my show review) but of course the company had also brought a new product to Vivaness 2018: the Rosa Damascena Rose Otto Regenerating Concentrate which is an intensive treatment concentrate based on thermal water, damascene rose extract and damascene rose oil. As always, great texture and a beautiful rose fragrance. Mádara is arguably the best-known Latvian organic beauty brand; they were also one of the first companies in Latvia to manufacture organic cosmetics – I just looked up the date: Mádara was founded in 2006! 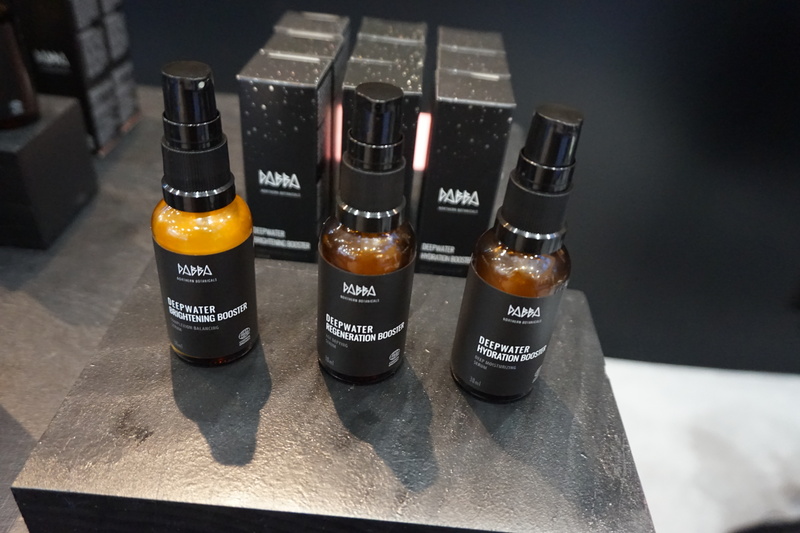 And of course they aren’t a niche or newcomer brand, but I like Mádara’s products very much – and the company had brought some interesting new launches to the trade show. 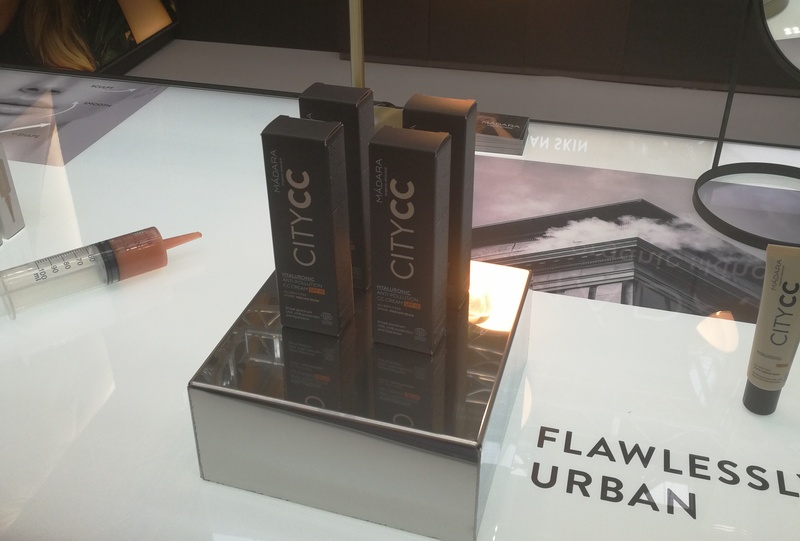 The new arrivals include an anti-pollution CC Cream – CityCC – which is available in two shades (top pictures), two SPF30 sun creams with plant stem cells extract (one of which is tinted) and the 2-sku Volcano range of solid cleansers. There is a black cleansing soap bar formulated with activated charcoal, and a white bar which is a solid body scrub which contains volcanic sand. Also new is a set of hyaluronic acid booster ampoules and, what I found particularly interesting, the Re:Gene lifting face mask (see lower pic) which is based on birch sap. 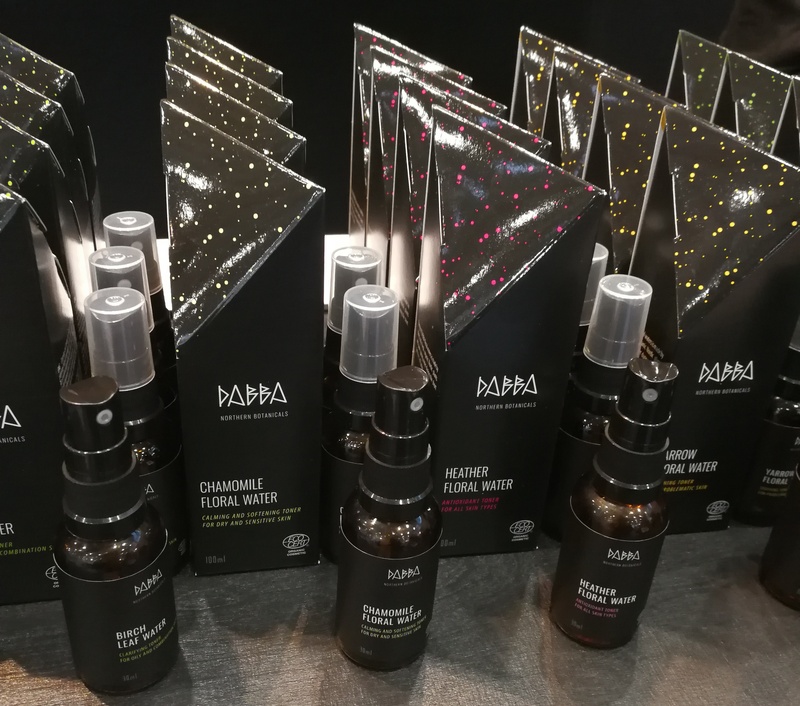 In Hong Kong, Dabba’s R&D director Jānis Kesa had already told me that Dabba would present some exciting new face care products at Vivaness 2018 and here they are: the three Deepwater Hydration Booster serums! I should add that Dabba started out with a range of eight plant hydrosols (which has now been reduced to six sku, incidentally. Also, the packaging was relaunched). A couple of years ago the brand brought out several oil-based elixirs (the Raspberry serum is one of my favourites). Anyway, there are three serums (see picture above): Hydration Booster, Regeneration Booster and Brightening Booster. All three products are based on sea buckthorn berries/leaf/stem waters which are combined with other fruit and herbal waters, like Japanese quince (in the case of the Hydration Serum), aspen leaf water (in the Brightening Serum) and peppermint water (in the Regeneration Serum). I was given two of the serums to try out and am currently using the Hydration Booster – such an amazing skin feel! (seriously, I’m already a big fan). There will also be an eye serum soon. I first met Narbonne-based niche brand C.Lavie at Cosmoprof Bologna 2017 (check out my show review here) and was very taken indeed by the company’s beautiful face care products as well as the déco-inspired packaging. 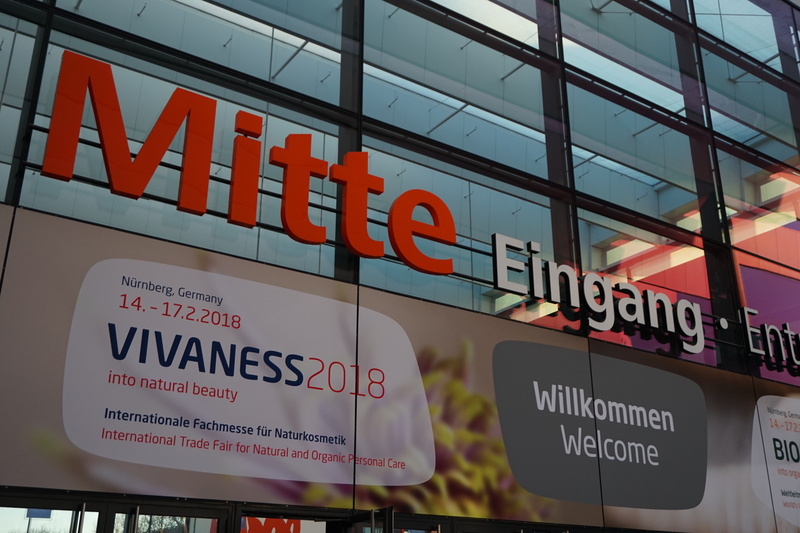 The brand presented a whole host of new product launches at Vivaness this year, including a micellar cleansing lotion; and founder Sylvie Cavenaze-Lavie had also brought some preview samples of the new night-time product range which will be launched later this year. The black bottles on the picture contain some of the new products but the packaging is not yet finalized; it will, of course, reflect C.Lavie’s usual aesthetics. Anyway, I tried out all of the new night-time products, and wow! There is an all-purpose body balm and an almond-scented body oil (the delicious scent is purely from the peach kernel oil and almond oils used in the product; no fragrance added!). On the face care side of things there will be three new essences. The digits in the product names (picturea bove) refer to the number of ingredients used in each product, by the way. 3 is a toning face mist which is based on rosewater, 5 is a clarifying essence based on aloe very and mint and 6 contains frankincense and lemon verbena. Truly beautiful products. 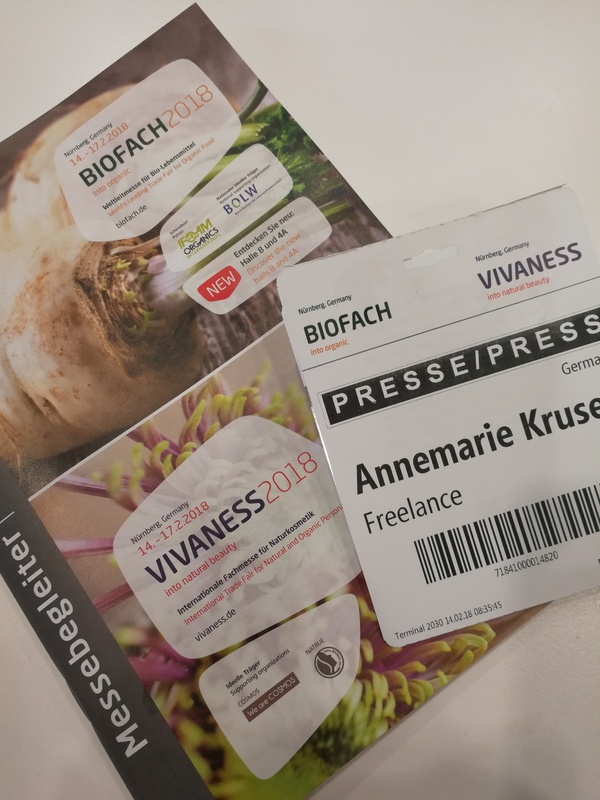 It was C.Lavie’s first time at Vivaness trade show and I’ll keep my fingers crossed that they’ll find a German distributor soon. In Europe C.Lavie’s products are primarily available online, for example through online store biomazing.eu; in the US, on the other hand, the face care products are stocked by organic retail chain Detox Market. 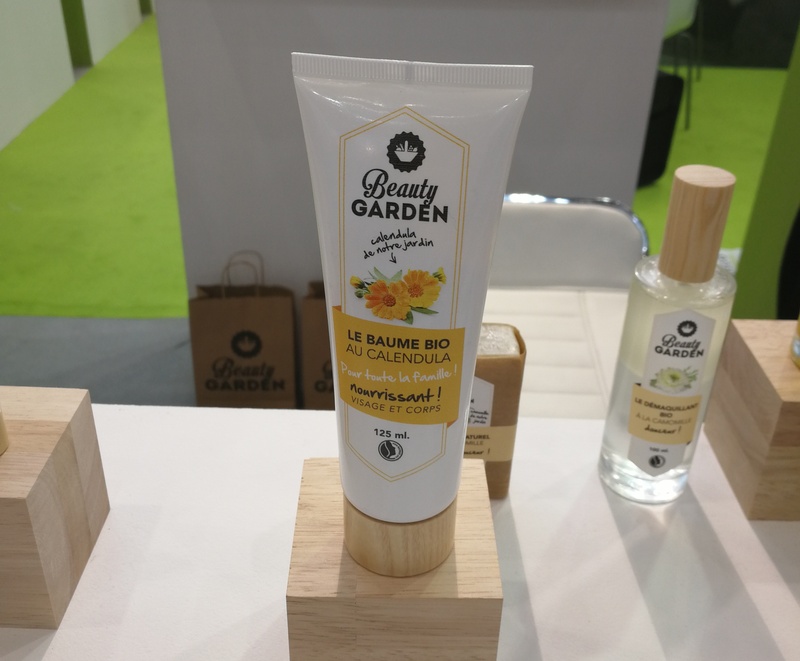 And Beauty Garden is an organic beauty brand from Auriac in the Nouvelle-Aquitaine region of France and I had first met them at Vivaness last year. The brand was launched in 2015 and they specialize in cosmetics made with fruit and vegetable extracts. I like Beauty Garden’s products very much (and the packaging, incidentally, which is glass and wood!) so I was glad to see them again at this year’s trade show. 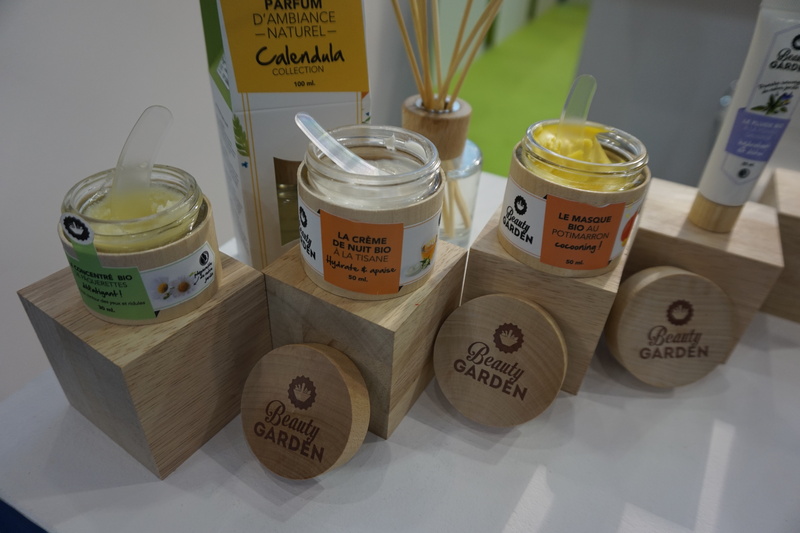 And there were a couple of new products to try out, like the Calendula Bio Balm which is a moisturizer for the whole family or the Fluide Bio Hydratant Détox à la Pensée (wild pansy) for oily skin which was launched in October 2017. Wild pansy extract is an ingredient that I saw at a number of exhibition booths at Vivaness, by the way. 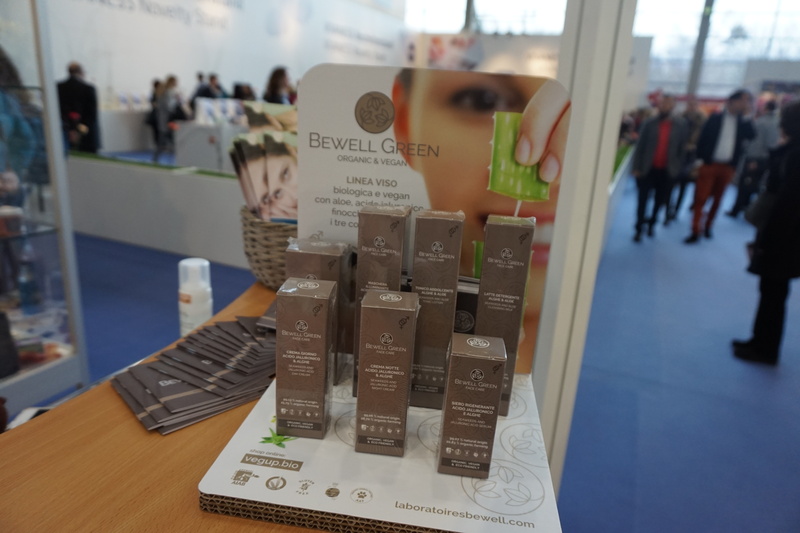 Laboratoires BeWell is the company behind successful vegan colour cosmetics brand Veg-Up. 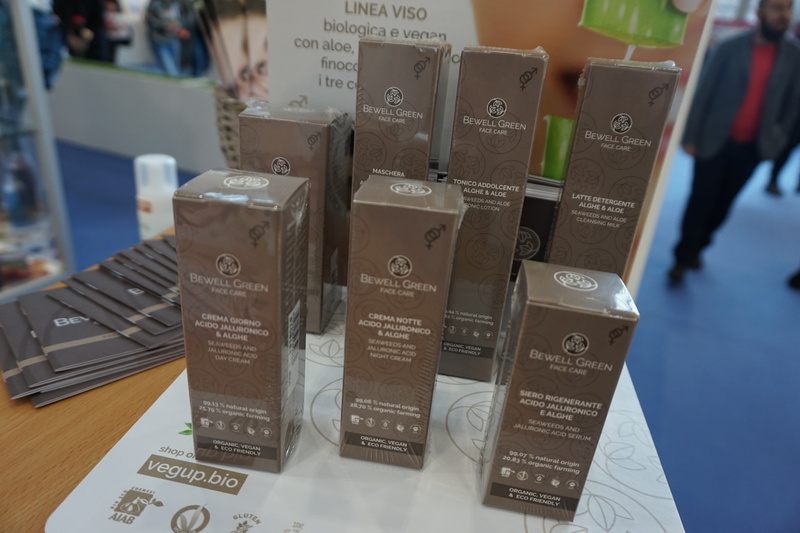 I see Veg-Up at Vivaness every year and the brand was also at Cosmoprof Bologna 2017. Veg-Up presented a number of new makeup launches this year as well as a range of new brushes. 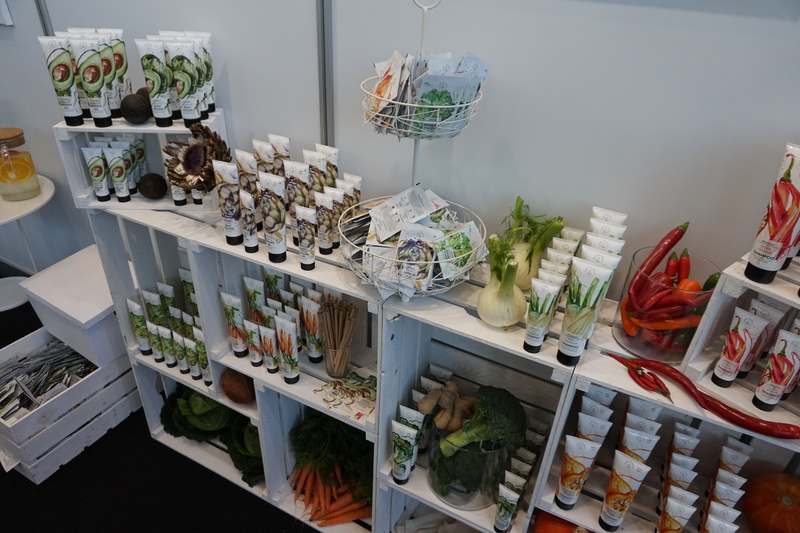 In 2017, the company had also introduced an 8-sku range of Veg-Up face care. However, what is even more interesting is that Laboratoires BeWell has just brought out a new vegan skin and body care, Bewell Green (see pictures above). 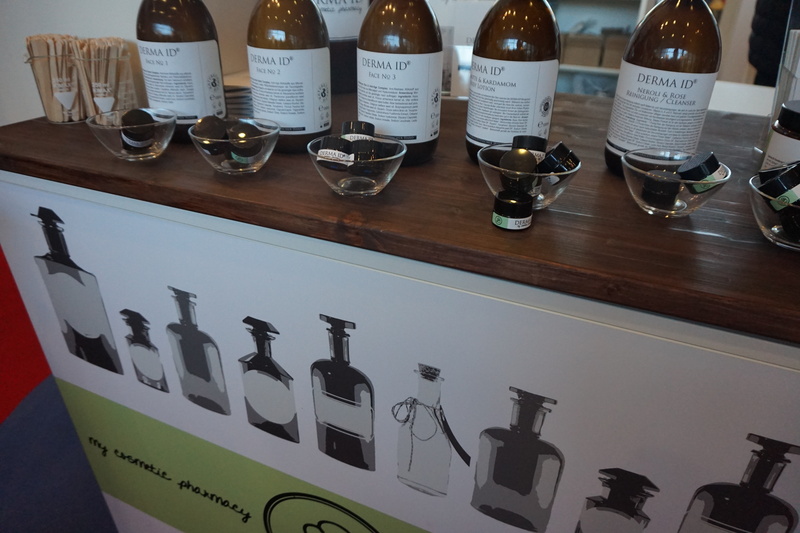 The new range was actually launched at Vivaness trade show and it offers 7 sku of seaweed-based face and body care. All products contain red, brown and green algae extracts and marine fennel, and the line-up includes a cleansing milk, a toner, a regenerating scrub mask with seaweed and aloe vera, a radiance-enhancing cream mask which has a beautifully smooth texture, a day cream, night cream and a serum which contains hyaluronic acid. 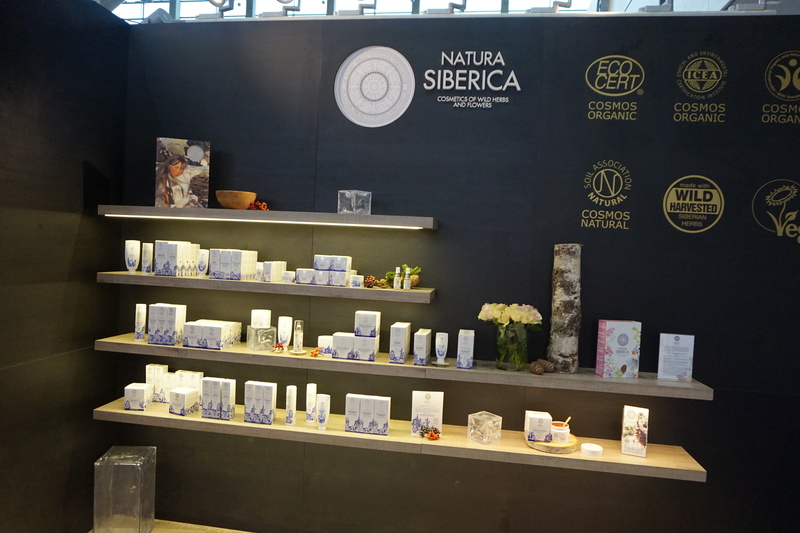 Natura Siberica is definitely not a niche brand or a newcomer brand, but the company had been at Cosmetokyo 2018 just last month and presented some very interesting new Cosmos Organic-certified products, including the Northern Collection cleansing range – check out my Cosmetokyo 2018 review for product pics and more info. 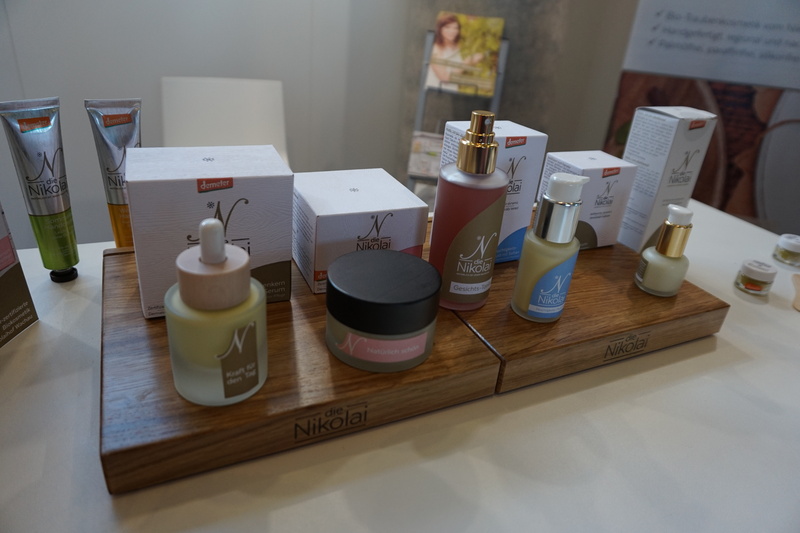 Ok, in the pictures above you can see the new product range which the company presented at Vivaness 2018: the 17-sku Sibérie Mon Amour range of skin and body care. Packaged in eye-catching blue and white the new range is described as a declaration of love to the Rose de Grasse from France from Siberia (and vice versa). It was named (I assume) after the eponymous women’s EDP which was launched as part of Natura Siberica’s first fragrance collection in 2017. 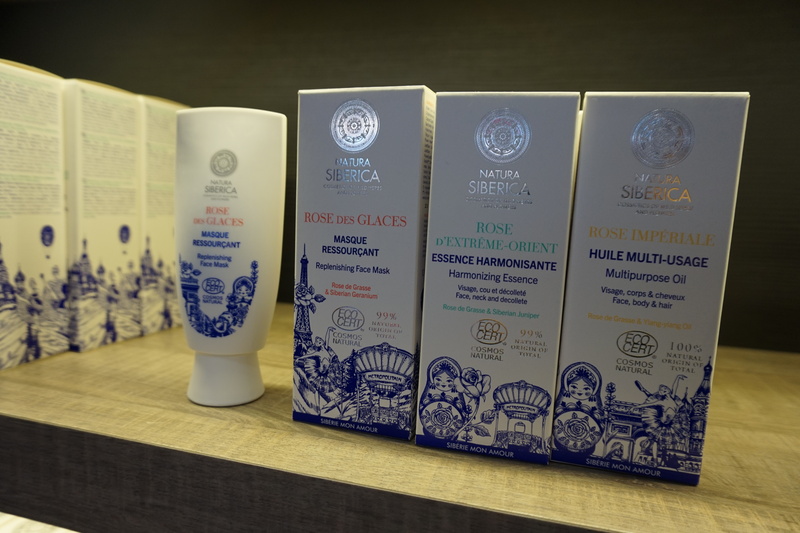 All Sibérie Mon Amour products contain Rose de Grasse extract which is combined with different Siberian ingredients like rhodiola rosea, snow cladonia (a hardy moss-like lichen), scutellaria baicalensis (also known as Chinese Scullcap), Siberian geranium etc. The face care line-up comprises a cleansing milk, a toner, a multipurpose oil, a day cream, a face mask, an essence, a night cream and an eye cream. On the body care side, Sibérie Mon Amour offers a bath and shower liquid, body scrub and body balm, a body serum, hand cream and hair & body mist. And in terms of hair care, the range includes a shampoo, conditioner and hair mask. The packaging design is rather whimsical, blending Russian and French imagery with blue and white colours that are, somehow, reminiscent of Delft porcellain. I tried out the hair & body mist and the eye cream and like both products. This is the first time that I’ve met an organic beauty brand from Belarus! Sativa is a family-owned company which was launched in 2014 by Svetlana Mikhailiuk who is also the head of R&D at Sativa. The Minsk-based brand describes itself as offering physiological, bio-mimetic skin care which is formulated with ingredients that are similar to the substances that are already contained in our skin, and that can therefore strengthen the skin’s own barrier. The product range comprises 37 products which are divided into five product ranges. Clean is a 7-sku range of cleansing products for all skin types and includes a cleansing milk, micellar cleansing water and polishing face scrub, two foam cleansers (all skin types and sensitive skin respectively) and two facial toners. The 9-sku Every Day range offers basic skin care products which are suitable for all skin ages. The line-up offers a day and night cream for oily and combination skin; two face creams and a night cream for normal and combination/dry skin, a lighter moisturizing fluid for all skin types, a hand cream and two body creams. Help! is a 5-sku range of face care products for dry, sensitive and couperose-afflicted skin and includes a soothing face cream, a revitalizing eye cream, a special Winter Protection Face Cream formulated for skin that is sensitive to cold, a firming body cream and a hand cream. Antiage offers four products for skin aged 30+: two face creams for normal/combination and dry skin respectively, an intensive night cream and an eye cream. 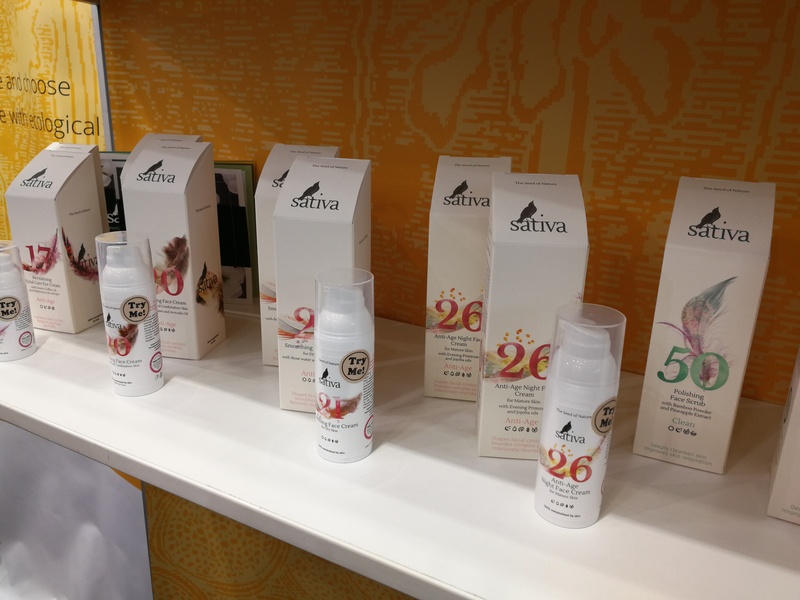 Sativa also has a 7-sku Serum range which is packaged in olive-green; it comprises rejuvenating day and night serums, a soothing serum for sensitive and hypersensitive skin, a regenerating serum to restore the skin’s lipid barrier and three hyaluronic acid serums for intensive hydration. Finally there is a Hair range which, interestingly enough, offers no shampoos or other cleansers but instead focuses on hair nutrition: the line-up includes two leave-in conditioner sprays, two conditioning balms and a hair mask. The products are marked with numbers to make it easier to identify the different products but also to help consumers develop the best skin care routine for their individual needs – the pics below are from Sativa’s product brochure and offer suitable product combinations for different skin situations (like repairing the skin barrier, reducing skin inflammations or normalizing sebum production). There is also a detox programme for consumers who want to switch from conventional cosmetics to organic beauty. The brochure can be downloaded from Sativa’s website. I’ve rarely come across an organic beauty brand that gives such precise recommendations for the use of specific products! Also, I love the packaging design with the starling. 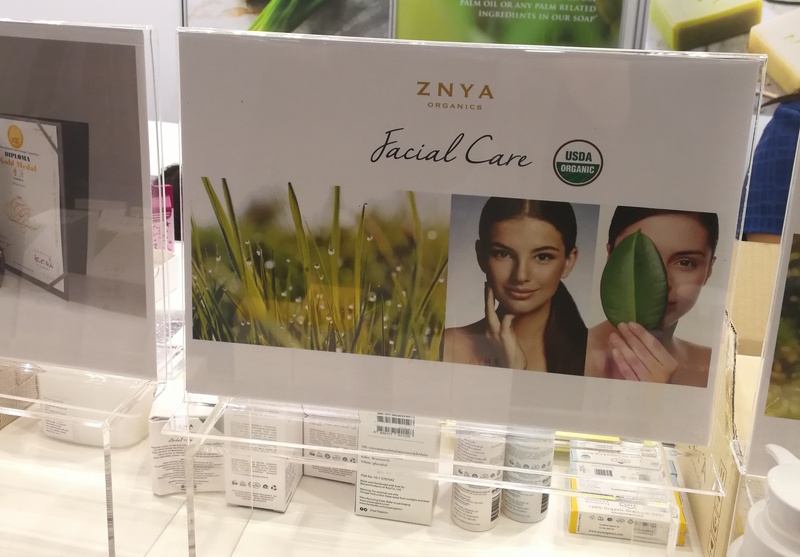 Finally, no Vivaness review would be complete without checking out the new products of organic Thai brand Znya Organics. Znya and I go back several years, I first met the brand at Cosmetokyo 2014 (my very first Asian trade show) and since then I’ve seen the beauty brand at various Asian trade fairs. Three years ago, Znya exhibited at Vivaness for the first time and since then I’ve met up with founder Pon every year. And there are a few interesting new launches in the pipeline; unfortunately not in time for Vivaness 2018 so the picture you see above is more of a placeholder pic; but the brand will soon introduce a range of hair colourants and two new face sprays; one with cucumber water and the other one with, get this, Thai grown Damascene roses! Yes, really! Pon told me that she has found a small organic rose farm in Thailand that successfully grows and harvests Damascene roses (no idea how they manage to achieve this, but they do). The scent of these roses is softer than Bulgaria-grown Damascene roses, she says, which is ideal for her customers because Thai people tend to prefer lighter scents. So Znya will soon offer a locally-sourced rose water face spray and they already supply Thai airline Bangkok Airways rose water sprays for their business class amenity kits.